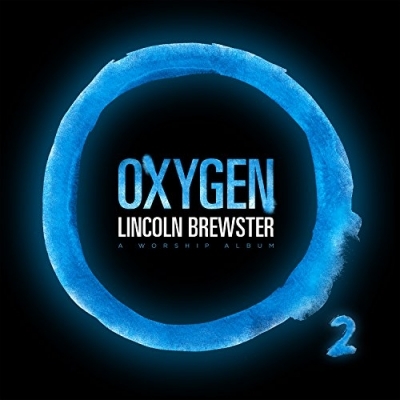 California-based worship leader Lincoln Brewster has released his new album, 'Oxygen'. With so many years and albums under his belt, one thing you can say about Lincoln is that he really knows how to put together an album. The foot-tapping funky modern sounding 'Live To Praise You' kicks this album off sounding like a mixture between One Direction, Hillsong Young and Free and Maroon 5. This soulful opener works a treat. Read More California-based worship leader Lincoln Brewster has released his new album, 'Oxygen'. The album has so many good quality songs, none more so than title track Oxygen. The contemporary sound continues from the first track and keeps the party going throughout the album. Honestly, this album is all about uplifting positive songs. 'You Never Stop', and a cover of the worship central dance inspired anthem Let It Be Know, are superb examples of the dance inspired up-beat nature to this album. This really feels like an album that is for today's modern music scene. But if big dance beats are not your kind of thing, there are still solid mid-tempo tracks like Sinking Ships (Rescue Has Come) and power ballad-esq tracks like Whole Again (Come Alive), proving Lincoln isn't the kind of artist to jump on a sound just because it's popular now. The album closes with a bang, finishing with the driven, funky Shout It Out, the perfect uplifting song to end any album. I really enjoyed this album, from the moment I started listening to it there were some instant hits and some songs that took a few listens to really appreciate them. Sometimes those kind of songs turn out to be the best ones. This is more than just another solid album from Lincoln, these songs are happy songs that will leave you with a smile on your face, and if you like to dance, go and dance in worship.